Customized 48 inch arc auto open umbrellas with hook handle are sure to bowl them with their large canopy and sturdy frames. 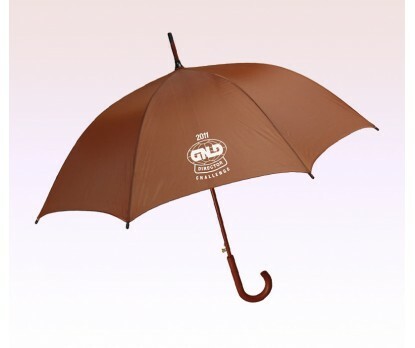 You can count on this umbrella for long-term promotions due to its durable construction. It can be gifted during fundraisers, community service programs, employee encouragement programs, tradeshows, in-store promotions and more. 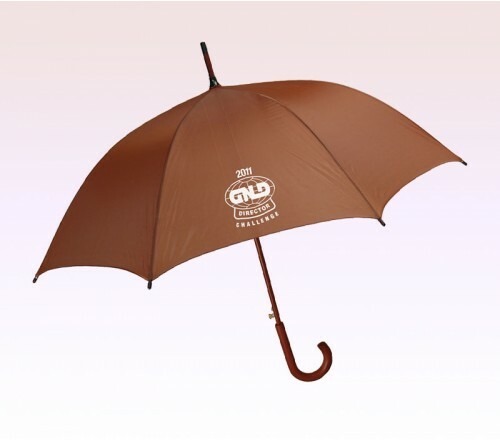 You can easily position your brand information beautifully across this auto open umbrella with hook handle in spot color process. Save on shipping anywhere within the contiguous USA. Request a quote to know bulk order discounts for this custom 48 inch arc auto open umbrellas with hook handle. Features - Auto Open. Polished wooden shaft and handle. Steel frame and armature. High quality armature and shaft. Eight (8) panel umbrella.